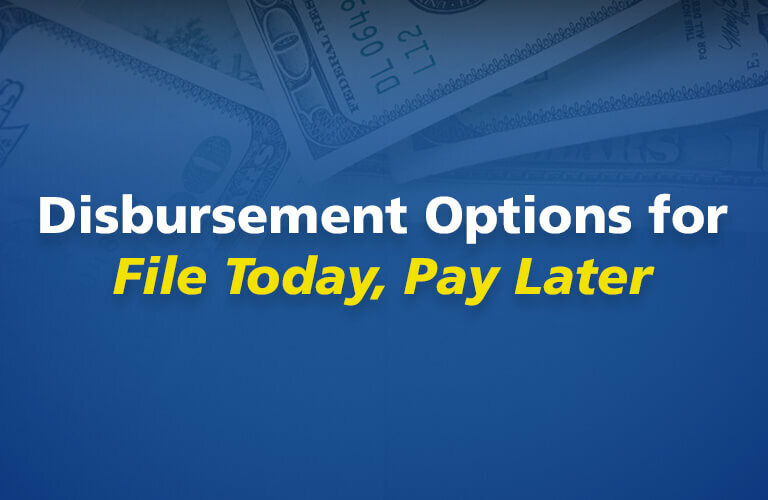 When you choose our “File Today, Pay Later” option, not only do you get the peace of mind knowing that we don’t stop working on your behalf until your tax refund is released by the IRS, but you also get the option of how you want your tax refund disbursed to you. Our most popular disbursement option. Many taxpayers prefer to pick up a bank issued tax check from the safety of our tax offices rather than receiving a direct deposit or a prepaid card. M&M Tax clients can save money on check cashing fees by taking advantage of several affordable and convenient Check Cashing Options including BB&T, First Citizens, Wells Fargo & Wal-Mart. For our tax clients with a bank account who prefer the convenience of a direct deposit directly into their personal checking or savings account in today’s fast paced society. Direct deposit is also a good way to avoid check cashing fees or delays caused by your bank putting a hold on a deposited tax refund check. For our tax clients without a bank account who prefer the convenience and security of a prepaid card. With a prepaid card, you can avoid check cashing fees and you will not have to worry about a paper check getting lost or stolen. You can make purchases anywhere Visa cards are accepted. Low monthly fee of $5.00, see Fee Schedule for complete details.